What do you understand by the term SAP Payroll? The concept of SAP Payroll is an essential component of SAP Human Capital Management. The remuneration for each employee against their performance is calculated using SAP Payroll. Apart from the remuneration the other benefits which an organization provides to the employee against employee welfare also constitute SAP Payroll. The tutorial mainly covers the basic concepts of SAP Payroll and its various modules and sub-modules. What are the prerequisites required and who are the audience for learning the concept of SAP Payroll? Good knowledge and understanding of the Payroll system of a company is essential for understanding the concept of SAP Payroll. 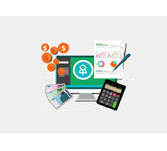 Knowledge and exposure on accounting and payroll related processing automation techniques are also required to better understand the concept of SAP Payroll. This tutorial is mainly targeted for the professionals who want to learn the concepts and ropes of SAP Payroll and implement in practice. The gross and the net payments including the payments, deductions are managed by the SAP Payroll system and the payments and deductions are calculated considering different wage types.